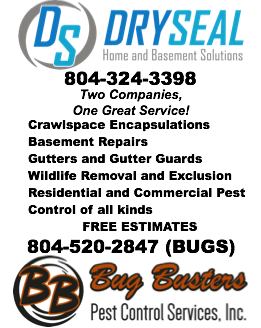 The Colonial Heights Chamber of Commerce is business and professional people united to enhance, promote and serve the businesses and educational community. It provides the leadership to advocate and assist in implementing solutions to problems not only in the local community, but statewide. The Colonial Heights Chamber of Commerce is a voluntary organization of businesses and individuals who strive to improve the economic climate of our community. It is a civic clearinghouse, a public relations counselor and a legislative representative for our members. The Chamber is run by a Board of Directors, elected by the Chamber’s members. The Board sets the policies, and employs an administrator who is responsible for the day-to-day operation. The Chamber has approximately 450 members consisting of business owners, managers, government officials, school representatives, retirees, and concerned citizens who all strive to improve the quality of life and business climate in our community. We have a nationally recognized partnership with the public school system, regular participation from the mayor and city council, and a strong involvement with our members. 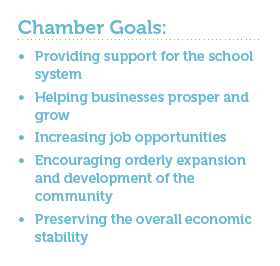 The Chamber provides concrete resources for businesses that will support growth and enhance profitability. Colonial Heights is a fast growing community. The Chamber is committed to promoting the city as a good business location, and to increasing the economic success of its member firms. Recognizing the need to have a ready workforce and to promote school-to-work experiences for students and teachers, our Chamber has joined hands with the school system through a dedicated partnership. Job shadowing, job fairs, apprenticeships, summer internships, and career days are all an integral part of the program. The high level of success of the school partnership program has been recognized throughout the state.